“I grew up, and realized – there is nothing uglier than revolution, when the people themselves, with their own hands, crumble and destroy all the best that has been created, and then they can not create anything”. Tatiana Okunevskaya. 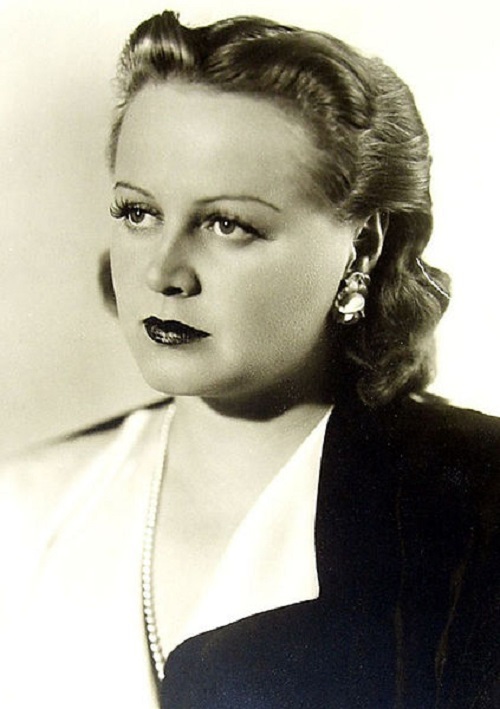 Soviet actress Tatiana Okunevskaya was born March 3, 1914 in Moscow. 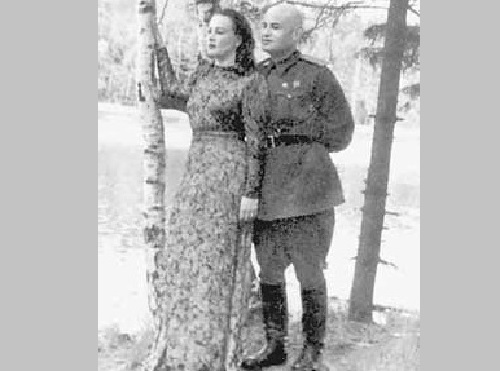 Her father was tsarists officer Kirill Petrovich Okunevsky. Mother Evgeniya Okunevskaya – excellent housewife, very good at knitting, playing the piano, guitar, embroidery, singing old songs. In her childhood, Tatiana studied at the school that was in front of the Theatre named after Konstantin Stanislavsky and Vladimir Nemirovich-Danchenko. After high school, Tatiana tried to enter the Institute of Architecture, but failed. The same year, to 17-year-old Tatiana came up a young man who introduced himself as an assistant director. Dazzled by her beauty, he stated that she was exactly the type they needed for the role. From that very day her film career has began. Her first audition went poorly: it turned out that an operator would like to see starring his wife. Against his wife a beautiful debutante had no chance. But with the girl fell in love the assistant director, who invited her to go with him and the crew to Tbilisi. There, in Tbilisi, she became acquainted with Dmitry Varlamov, whom she liked. Dmitry and Tatyana soon married. Okunevskaya was again invited to audition, and this time was approved. Tatiana quite successfully played the blind girl selling violets in the film about America. She was noticed, appreciated and very soon was offered a role in the film “Fathers”. But Tatiana was pregnant, it prevented her from the shooting. The contract with her was terminated. Tatiana came home. Since then, life has changed to worse for Tatiana. Previously sweet, kind and considerate young man, her husband has turned into aggressive and jealous. In 1933, their daughter Inga was born. 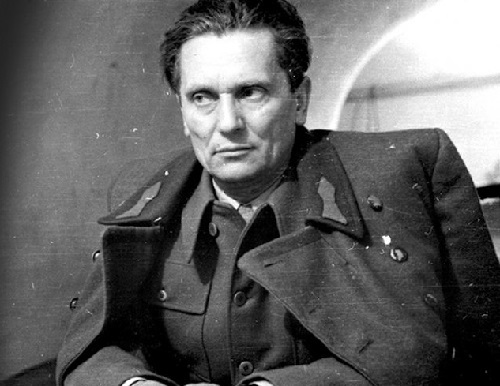 Dmitri studied at VGIK on the course of Sergei Eisenstein. Tatiana left her husband and moved to her parents. In her parents’ home it was nice and comfortable. The only thing that depressed Okunevskaya at the time, was the lack of work. 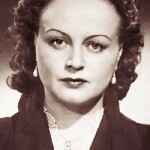 Once to Okunevskaya came people from the studio and offered her a role in the film ‘Pyshka’ directed by Mikhail Romm on a story “Boule de Suif” by Maupassant. 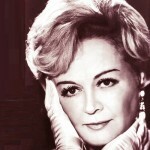 Then, at the suggestion of Romm, Okunevskaya becomes an actress of Realistic Theater. 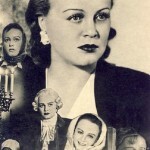 The first role in the theater was Natasha in Gorky’s “Mother”. Then there were roles in “Colas Breugnon”, “Innkeeper,” “Iron Stream”, “Othello”, “The Good Soldier Schweik”. 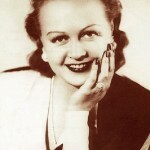 In 1935, at the film studio “Lenfilm” Tatiana starred in “Hot Springtime”. In 1937, for the third time her father was arrested. And after him – and grandmother. For Tatiana it was a terrible blow. From the theater she was fired as the daughter of the enemy of the people. Again, she was out of work, with her mother and little daughter, and there wasn’t a man she could rely on. That was a strange story: fired from the theater, her movies “Hot Springtime” and “Doughnut” had great success in the cinemas. Tatiana decided to leave Moscow for Gorky. 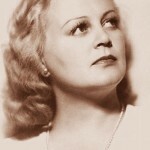 In Gorky, Tatiana was enrolled in the State Theatre as the “actress of first position.” She played in the play “The Year of the nineteenth” by Iosif Prut. When in Moscow her friends have learned why Tatiana disappeared from sight, and that she was in Gorky, Mikhail Svetlov came and brought her his new play in the “Fairy Tale” verses. Yuri Olesha, poet Aseyev, director Arnold, Zoya – wife of writer Kazakov, Mikhail Zoshchenko, actor Nikolai Cherkasov. She was invited to star in the film “May Night”. Tatiana said goodbye to the theater in Gorky and went to Kiev for the Dovzhenko studio. The shooting took place in picturesque Ukrainian village. In Kiev, Tatiana became friends with writer Boris Gorbatov. He asked her to marry him, and Tatiana immediately agreed. As she admitted later, it was a forced move to save the family from poverty. Then came the war. 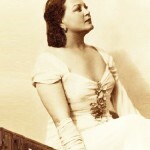 Gorbatov went to the front, and Tatiana along with the theater was evacuated to Tashkent. In a stuffy, dirty southern city was unbearable, she wanted to go to the front to bring at least some benefit to homeland … But she could not leave the family, they would have died without her. Tatiana starred in the film “Alexander Parkhomenko.” Suddenly the actor L.Kmit suggested her to make patronage concerts at the airport. Pilots have taken her performance with great admiration, and Kmit took advantage of this, persuaded pilots to take Tatiana with them onto the plane. So she came to Moscow. In Moscow, everything slowly came to life. After each performance Tatiana got long and enthusiastic applause, bunches of flowers, gold medals, stars, awards. 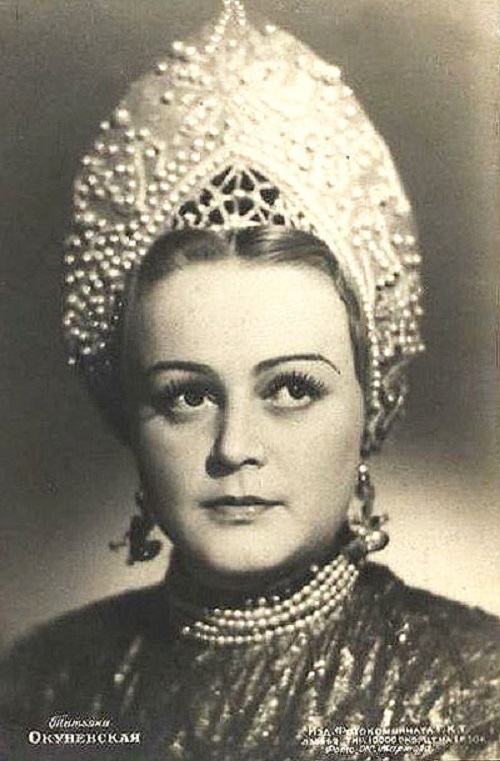 In 1945 Okunevskaya started working in the film “David Guramishvili”, where she appeared in the role of Princess Elizabeth, daughter of Peter the Great. The shooting took place in the Winter Palace. 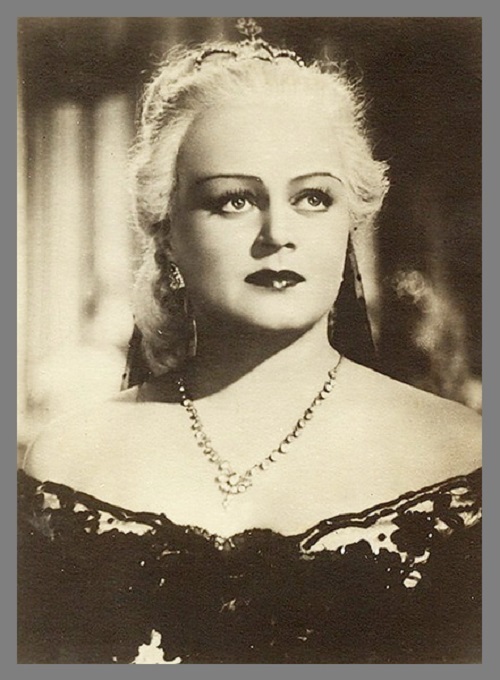 Academician Orbeli was a consultant to the film, and was indignant that for the role of the queen was invited some Komsomol girl, but when Tatiana appeared in full make-up from around the corner, going down the stairs in the Winter Palace in a white wig, black dress, surrounded by ladies, and began to look straight into Orbeli, he just moaned with delight and ran to kiss her hand. War was over. Life has changed. Once Tatiana was invited to dinner at the Yugoslav embassy. Ambassador invited her to visit the country in conjunction with the film “Night over Belgrade.” Then there was a call from the Party Central Committee – she was offered to present three films: “Night over Belgrade”, “Alexander Parkhomenko.” “It was in the Donbass”. And then she had to travel abroad. It seemed like a dream – Bulgaria, Romania, Transylvania, the Alps, Yugoslavia, Slovenia, Montenegro, Macedonia, Hungary, Czechoslovakia, Austria. 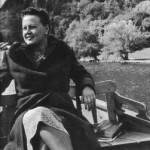 In 1946 in Yugoslavia, she was met by Marshal Josip Broz Tito, who, as it turned out, was in love with her. Then Tatiana was flattered. Her husband was awarded the Stalin Prize for his book “Unconquered”, which immediately put their family in a privileged position. They got a five-room apartment and the possibility of a luxuriously furnish it. Gorbatov bought for Tatiana “Mercedes” made by special order. 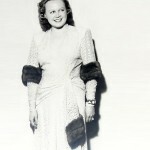 There was no shortage of toilets, which were sewn for her by most famous and expensive dressmakers. In the theater Tatiana was given best roles. Gorbatov fulfilled a promise given to her once – to do everything for her. 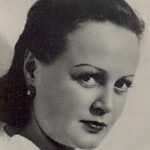 When Okunevskaya met with Tito during her tour trips, Yugoslavs enthusiastically accepted her film “Night over Belgrade.” A few days later Okunevskaya was invited to his summer residence. The car of Marshal Tito himself took her straight to the palace, occupied by Tito. But the tale, however, like everything in this life has a tendency to end. Marshall went to Yugoslavia. And though Okunevskaya continued to receive regular huge basket of roses on each her performance, further relations were impossible. 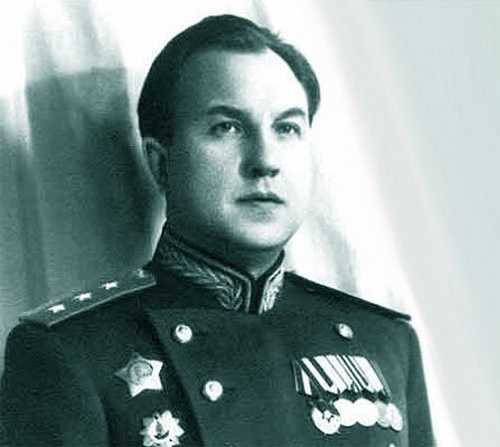 Equally influential was the then Minister of State Security of the USSR Viktor Abakumov. But he was not lucky: when in the hotel “Moscow”, during one of his receptions, he reached to kiss her, she slapped him across the face. However, then she did not know who and what that man was. But Abakumov did not forgive. 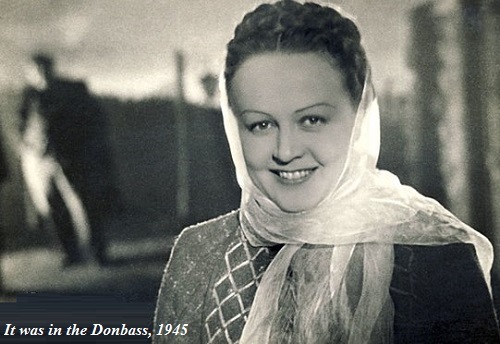 December 13, 1948 she was arrested on the order of Abakumov. Okunevskaya was charged under article 58, paragraph 3, part 2 – “High treason in time of peace” (supposedly she wanted to flee abroad). 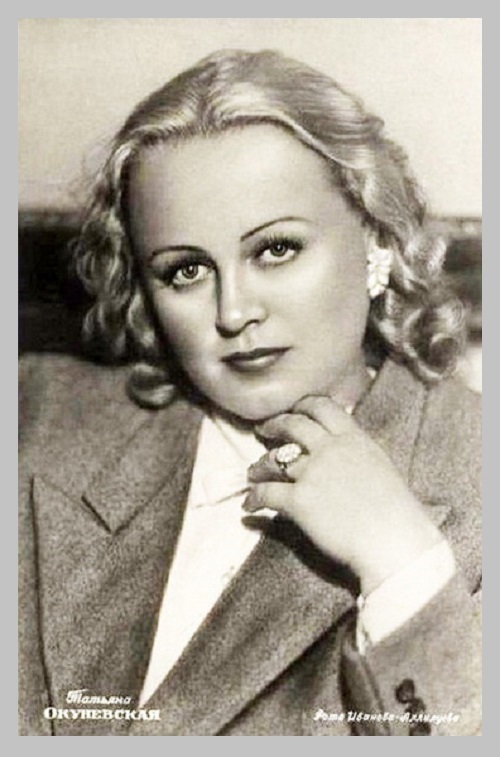 And even accused of “espionage and anti-Soviet agitation.” Tatiana received a term – 10 years. About this time Tatiana Okunevskaya found the strength to write in detail in her book, “Tatyana’s Day.” She had the strength and spirit to live, to act, to give concerts as a reward to get an accordion, or a date. She remained a woman to the bone. Grace, ease, coquetry, the desire to please. In the camp, she again experienced love – truly fantastic. 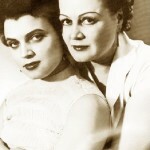 Okunevskaya organized concert team of the prisoners. Among them she met this man. His name was Alexey, he played the accordion. What can they afford? Nothing. He secretly handed her his poems. Only once the fate gave them a chance for a passionate kiss. Only one – but, according to Tatiana, she would not have forgotten it even in a hundred years. Then came 1953. It was announced the leader’s death, and in the camp started a real triumph. Of the ten years she served six. 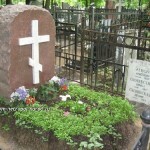 Alex was released later, but soon died of tuberculosis. She returned home quite sick. To restore health, doctors advised her to get away from the bustle of the city. Tatiana listened, went to the village and there really slowly returned health and strength. Since then, and until her last days, she adhered to a vegetarian diet and engaged in yoga. Okunevskaya continued to act in films, wrote memoirs, the first volume of which was published on the eve of her 85th anniversary. The latter role she played in the series by Alexander Mitta “Border. 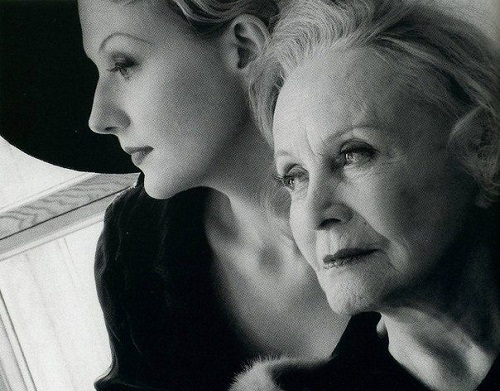 Taiga novel “- the role of the grandmother of the main character played by Renata Litvinova. Who, in turn, captured the noble old age of Tatiana Okunevskaya and other Soviet film stars in the documentary “No death for me.” Optimism of the actress was amazing. Even her biography she finished with the question: “I walk in a new life. What will it be ?! “. 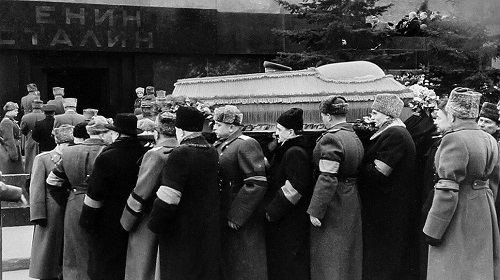 Tatiana Okunevskaya died May 15, 2002 at age 88 and was buried in the Vagankovsky cemetery in Moscow.